"Patients too have some responsibilities. Relatives of patients too have some responsibilities. Vandalising hospitals, beating up doctors (in case a patient dies) are not acceptable," he said. President Pranab Mukherjee today termed as “unacceptable” attacks on doctors and vandalisation of hospitals by angry relatives of patients, saying they too have some responsibilities to ensure a better healthcare system. He, however, rued that the concept of “service” was now taking the backseat in the medical profession. He urged medical professionals to bring in that “human touch”, saying a smiling face can cure a thousand lives. Mukherjee was speaking at the inauguration of the Indian Institute of Liver and Digestive Sciences (IILDS), the first full-fledged healthcare institute dedicated to liver diseases in eastern India, set up by the West Bengal Liver Foundation in Sonarpur in the southern suburbs of Kolkata. “Patients too have some responsibilities. Relatives of patients too have some responsibilities. Vandalising hospitals, beating up doctors (in case a patient dies) are not acceptable,” he said. Mukherjee’s comments assume significance as in March, health services in OPDs and general wards at government and municipal-run hospitals across Maharashtra were hit due to a strike by resident doctors across the state. The doctors went on a five-day protest after a series of assaults in various parts of the state on some members of the fraternity. Mukherjee also lauded the efforts of West Bengal Chief Minister Mamata Banerjee, who was present at the event, to rein in private hospitals in Kolkata after complaints of exorbitant charges. In February, Banerjee met representatives of top private hospitals and nursing homes in the state and told them that they should not think of only making profit and “ignore” poor patients. A month later, the West Bengal government passed a bill aimed at bringing transparency, ending harassment of patients and taking steps to stop medical negligence. The state-of-the-art IILDS, spread over a four-acre plot, has a 100-bed inpatient section. It has a six-bed intensive therapy unit (ITU) and two theatres equipped to carry out all gastrointestinal and hepatopancreatobiliary surgeries inclusive of liver transplantation, besides an outpatient section. The outdoor section of the institute has been functioning since February 2016, drawing an average of 50-60 patients daily, said Partha S Mukherjee, project director and chief functionary of the West Bengal Liver Foundation, a not-for-profit organisation. This is the first institute in eastern India dedicated to liver and digestive sciences, he said, adding that the other two such facilities are in Delhi and Hyderabad. The institute will be a boon for people suffering from liver diseases, which claim an estimated 2,00,000 lives every year in India. The hospital aims at providing the best care to the people at a cost 30-40 per cent less than what is being charged by other hospitals now, Mukherjee said. Earlier, the president was received at the airport by state minister Purnendu Basu, the chief secretary and the DGP. Banerjee, who had been in Delhi, accompanied Mukherjee to Kolkata. 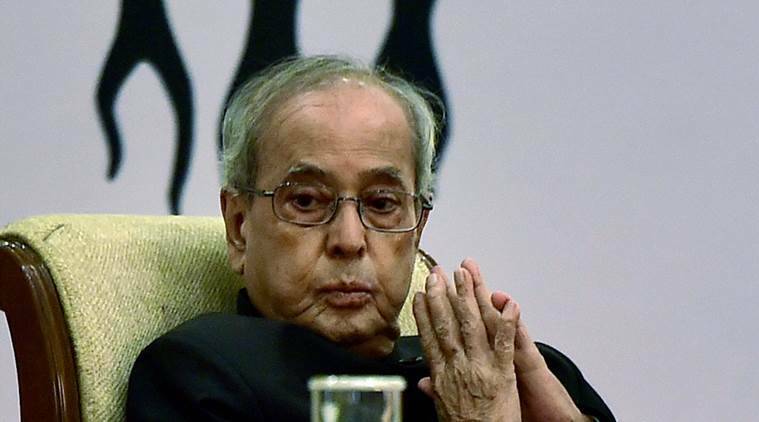 Mukherjee is on a two-day visit to West Bengal. He will also receive the first copy of a book, titled ‘Metaphysics, Morals and Politics’, from Amal Kumar Mukhopadhyay, former principal of the erstwhile Presidency College, Kolkata. Tomorrow, the president will attend a medical award ceremony at the Science City Auditorium here and inaugurate the Integrated Renewable Energy Smart Microgrid Centre and the Centre for Water and Environmental Research at the Indian Institute of Engineering Science and Technology at Shibpur in Howrah, before leaving for Delhi.